When we all woke up to the sad news of American fashion designer Kate Spade’s death on June 5 of an apparent suicide, we couldn’t help but think of her massive contribution to the world of fashion, entertaining, and even home decoration. Spade’s whimsical prints, vibrant colors, and overall playful vibe on her bags, clothes, and shoes translated into an optimistic lifestyle brand for the modern woman. The designer even released books that talked about style, but subtly tackled relevant topics such as the empowerment of women. 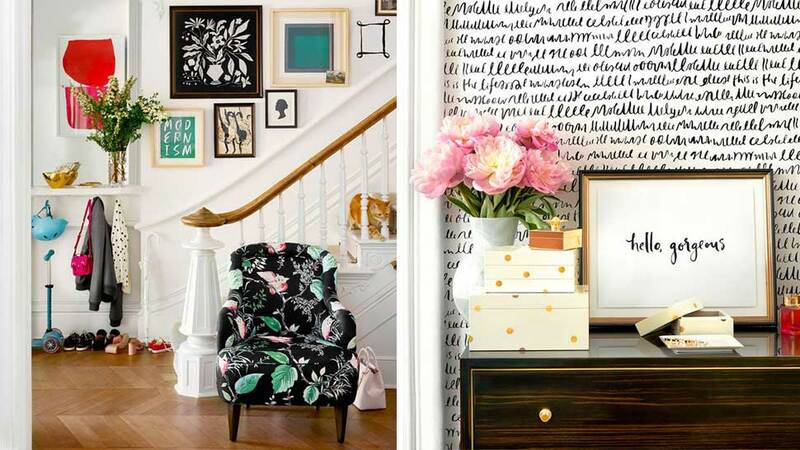 While many celebs these days are dabbling in interior design and home décor (even Kanye West), Kate Spade was one of the first fashion designers to launch a home collection in 2004. She partnered with American giftware and ceramics company Lenox to create china, picture frames, and linen in her trademark patterns and bright fuchsia, chartreuse, and lemon hues. Spade eventually sold her company in 2007 to focus on her family, but the brand continued to create collections in her signature style, and grew into billion-dollar lifestyle company. Kate Spade New York’s home décor category was so successful; they launched a line of furniture in Spring 2016. The brand collaborated with top-notch interior manufacturers, such as EJ Victor for the furniture, Visual Comfort for the lighting, Jaipur for the area rugs, and top design brand Kravet for the textiles. IMAGE Kate Spade New York Facebook Page. 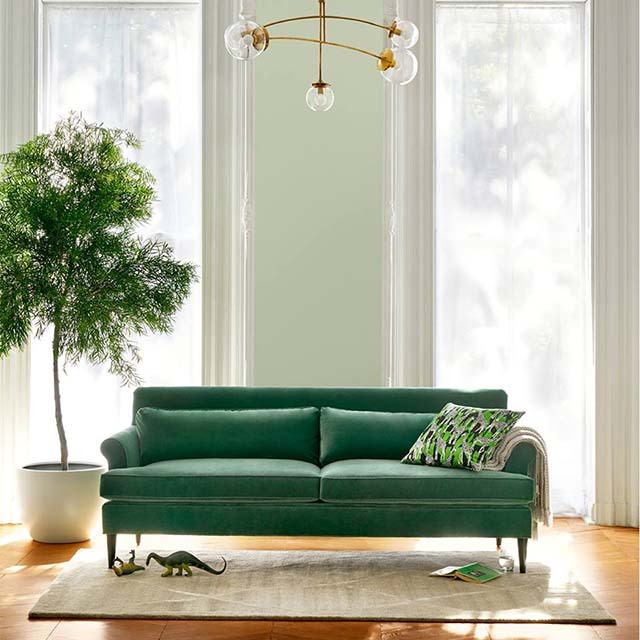 The Pierre Sofa in emerald was definitely on-trend. 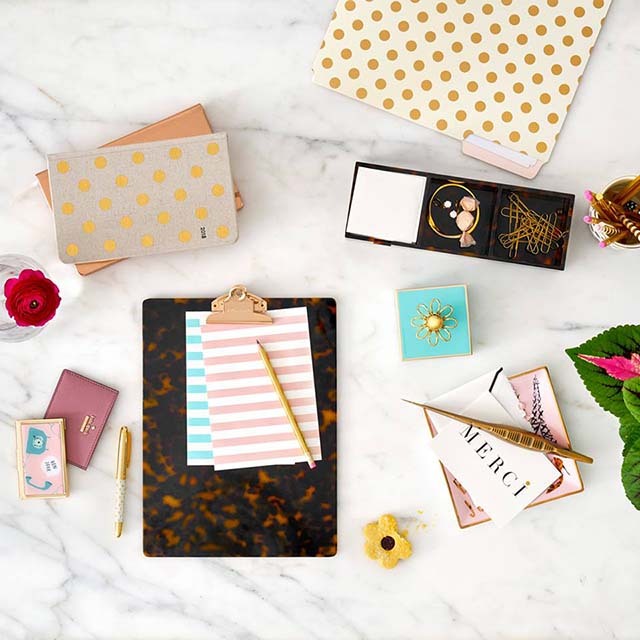 Their latest collections all have that playful Kate Spade New York twist—a combination of feminine elegance, luxurious textures, and whimsical hues and patterns. All these are clear proof that even if the fashion icon is gone, her signature style lives on. 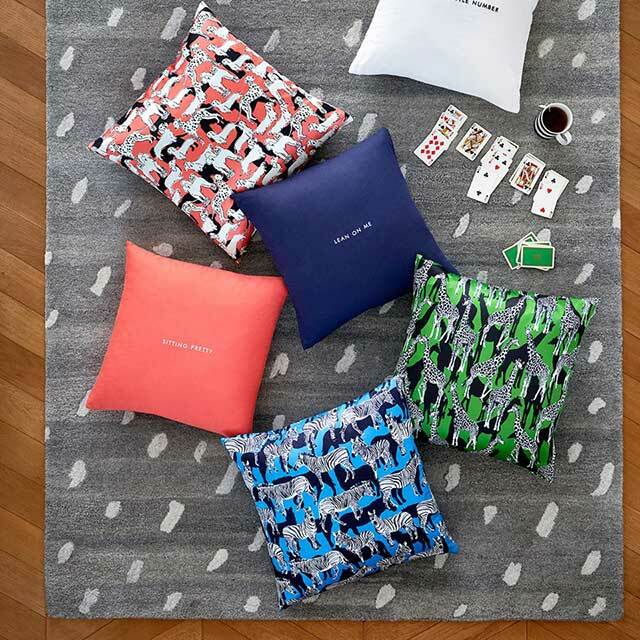 IMAGE Kate Spade New York Facebook page. Words of Wisdom, Zebras Pillows all featured her signature wit and humor. IMAGE Kate Spade New York Facebook page. Deco Dots Bed Linen is muted but playful. IMAGE Kate Spade New York Facebook page. Her affordable stationery line is widely popular. IMAGE Kate Spade New York Facebook page. 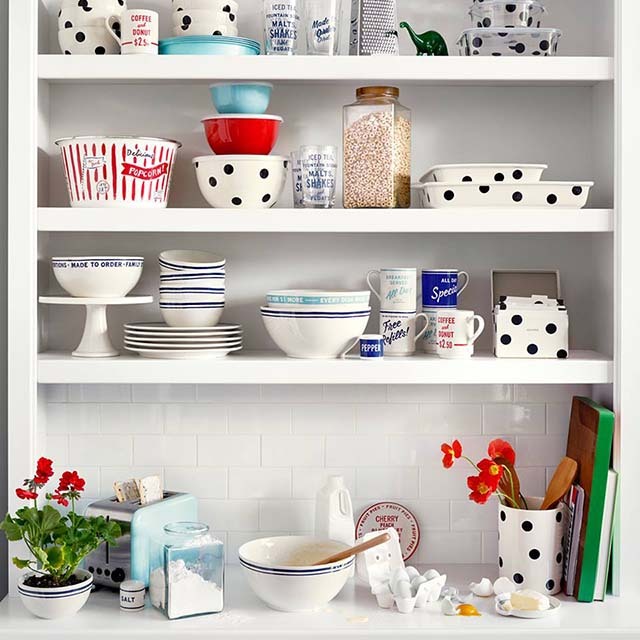 Deco Dot kitchen ware has a cool retro vibe. Kate Spade New York items are available locally at Shangri-la Plaza, Greenbelt 3, Powerplant Mall, and Newport malls. Stationery items are also available at select National Bookstore branches.